Adda52 -India’s leading online gaming website- has prepared a wonderful surprise for Indian poker players. First time ever, the website is going to host the next edition of its flagship tournament – DPT in Gangtok, the capital of the state of Sikkim. Deltin Poker Tournament (DPT) is a country’s premier Poker tournament series which provides poker aficionados with an opportunity to win amazing cash prizes by playing their favourite game of skills live. DPT Xpress, powered by Adda52, is going to be held at Deltin Denzong Casino from 27th to 30th September 2018. The Casino is located at Hotel Denzong Residency in Gangtok. The 4-day extravaganza will feature several exciting low stake events with buy-ins starting from INR 5,000 to INR 15,000. The series will begin on 27th September with ‘Burn ‘N’ Turn’ – an INR 5,000 buy-in tournament. On next day ‘10K Bounty Nuggets’ will happen where players can enter with INR 10,000. On 29th September, the Main Event begins with INR 15,000 buy-in. The ‘Players Choice’ will be held on 30th September. The format (Teams Event, Heads-Up Event, or Satellite Event) and buy-ins will be decided as per the participants’ feedback. The 10K Bounty and 15K Main Event will be live streamed. Not only tournaments, the DPT Xpress will feature some really interesting cash games during the event. Players can also take benefit from ‘Play N Stay” offers where they can enjoy transportation and accommodation facilities at the event. 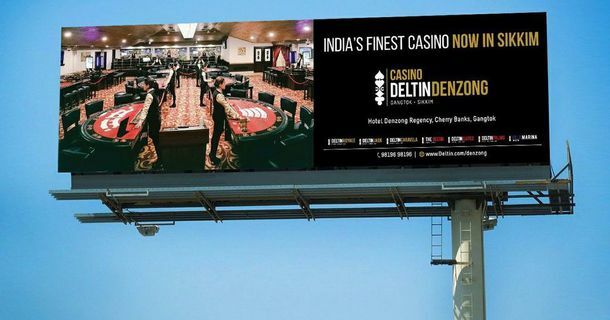 Deltin Denzong is a land-based Casino which is managed by Delta Corp – India’s only listed gaming company. The place is located in front of mountain Kanchenjunga which is the third highest peak in the world. Spread across an area of 7,000 sq ft, the casino offers 169 gaming positions with 15 live gaming tables. With more than 1100 registrations, DPT’s previous edition was massively successful which was held in July this year at Deltin Royale Cruise Casino in Goa. The Main Event winner was Mr Awnish Singh who took home the INR 35.04 Lac 1st prize. This time, the inaugural event of this highly prestigious tournament is going to be held in this heavenly North Indian State. As per Mr Manish Adnani, Business Head of Delta Corp Ltd.,“DPT has evolved as a product over the past 28 months since its inception in early 2016. Back then we just had one series the Deltin Poker Tournament which attracted regulars, pros and all kinds of recreational players. As the fabric and space have evolved we felt the need to have a Super High Roller series which took shape in the form of DPT Colossus in April this year clearly dissecting the High rollers from the rest of the pack. Having said this, there are players who do play cash games at least 3-4 times a week in A , B and C cities but never make it out of the closet to a DPT event as they generally don’t land up playing live tournaments primarily due to high buy-ins and the standard of the game with the pros and regulars participating in these player fields.